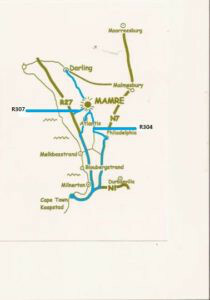 The Mamre 21km is run in accordance with the rules of ASA and WPA. 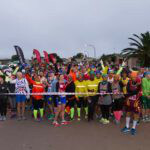 Licenced runners should wear club colours. Official event race number to be worn on the front. Registered athletes must wear their ASA licences on the front and back of their vest. The race number must be worn on the front of the vest, partially covering the ASA licence, so that the ASA licence sponsor remains visible. No swopping of WPA licence numbers as the number is linked to your name and finishing time. Swopping or lending licence numbers could result in disqualification. 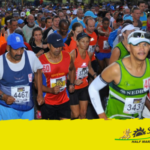 Temporary licenced runners must wear the race number on the front of their vest and the temporary licence on the back. Ensure that your club name and licence number are filled in on your entry card. Entry race cards must be in athletes possession at all times during the race, and handed in at the results board at the Finish. 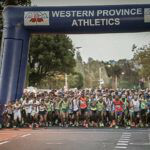 federation permitting participation on race day. Refreshment stations will be situated approximately every 3km along the route. When entering online please be sure to add in your email address to receive your confirmation email. 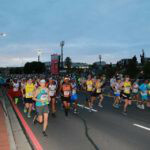 ONLINE: Enter online at topevents.co.za (should you have any enquiries about entering online, please contact Top Events on (021)5117130 or email info@topevents.co.za. Online entries attract a 14% admin fee. Closing date for online entries is Thursday 20th June 2019. 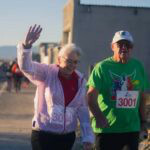 RACE DAY: Entries will be taken on race day from 06h00 at the Mamre Primary School in the hall. Follow N7 until Philadelphia/ Stellenbosch/ Atlantis turn-off (intersection) about 1km passed the ENGEN SWARTLAND 1-STOP. Turn RIGHT, continue until STOP (+/- 6.5km), go over to the next STOP (+/- 200m further) NB!! Landmark: Saxonwold Supermarket and road connection to/from Malmesbury on right hand side of the stop. Continue with tree lane over a third stop (Witsand informal Settlement) and continue over 2 traffic circles to the first 4way stop. At 4way stop turn RIGHT and continue through Atlantis over four 4way stops. NB!! LANDMARK: K F C right hand side of 1st 4way stop. Follow 21km road signs past Silverstream road and LEFT into Main road to Mamre. Follow marshals instructions into entry area. Follow R27 past the Melkbos traffic lights until Atlantis/Mamre turn-off 7km/14km sign. Turn RIGHT and continue with road past Atlantis (on your Right) until T-junction and STOP sign. Turn LEFT at T-junction, follow nrs 6 and 7 above.